Make your beloved one happy! My how the years have flown by. It only seems like yesterday that you were both saying “I do”. Who are we kidding? Nobody who has spent 25 years being married to the same person that’s for sure. All joking aside, 25 years of marriage is a significant achievement. Especially when you consider the high divorce rate. And this makes it all the more reason to be celebrating such an occasion in style. Don’t let this event pass by without making a lot of noise about it, including fanfares and trumpets. You’ve reached a very important milestone in your marriage and it’s definitely worthy of a small party. Oh go on then, make it a big one. While a party may be the choice for some married couples, there are others who like their celebrations to be on the quieter side. Either way, it’s all about what you and your wife want, and how you want to mark the occasion. Anniversary Celebrations – Who on Earth Started That? As well as straight roads and indoor plumbing you’ve also got the Romans to thank for anniversary celebrations. In the times of the Holy Roman Empire a Roman husband would crown his wife with a garland made of silver. 25 years of marriage was even a big thing back then. If the happy couple managed to stay in good health and make it to 50 years, the garland would be made of gold. This tradition of celebrating wedding anniversaries was also practised in medieval German. There the friends and neighbours of the couple would give the wife gifts of silver. This stayed pretty much the same until the 20th century, when a number of new symbols were introduced. No longer just silver and gold, but crystal for a 15th anniversary and wood for a 5th. It wasn’t until early in the 1900’s that things changed again. The National Jewelry Association in America compiled a very comprehensive list. Wonder if they had spotted the best marketing ploy ever? Every year was given it’s very own symbol. We think it’s good that not one year is missed out. Because every year that passes when you’re married, is a milestone, in its own special way. And deserves some form of recognition. Did you realise that as many as 50% of marriages end in divorce. Now do you see why an anniversary is to be remembered? So for you happy 25th wedding anniversary celebrators, it’s your time to stand tall and proud, and celebrate the fact that you’re still together. Steadfast and true through all that life has thrown at you, good and bad. 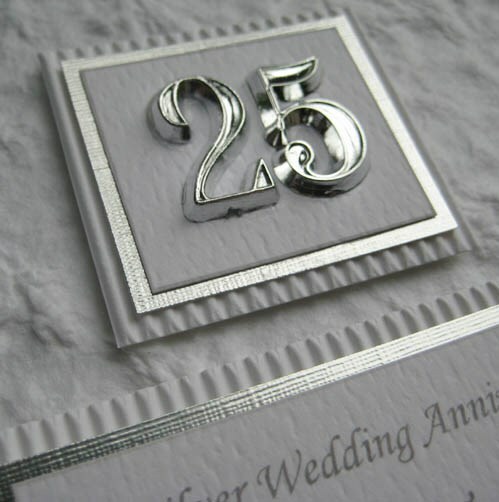 Are you looking for a special 25th wedding anniversary gift for a couple of friends? Are your favourite aunt and uncle soon to celebrate such a momentous occasion? Or are you about to celebrate yourself, and looking for some great silver wedding anniversary gift ideas for your husband or your wife? Whoever you’re trawling the gift sites for, and for whatever reason you’ve found yourself on this page, we hope to make your gift giving wishes come true. And that’s to give you some assistance, and help you find the most perfect wedding anniversary gift ever. As the name implies the symbol associated with such a big anniversary is silver. Bet you were wondering why it’s called a silver wedding anniversary, not! There are heaps of things to choose from if you decide to keep up the tradition, but there are other symbols that are associated with this anniversary too. And roses of course – they seem to find their way into all romantic occasions. And quite rightly so. There are some very appropriately named rose varieties also, if you’re thinking of getting something for the garden. For example Silver Jubilee, Happy Anniversary and Silver Star Rose. There are lots of thoughts on how best to celebrate an anniversary, and many choose to have a good time with all those people that are special to them. Such as family members, friends and relatives from both near and far. Some people take the opportunity to reacquaint themselves with long lost friends, and family members who have moved to far distant shores. Others choose to do something completely opposite – spend a quiet evening together, remembering all the good times, and possibly some of the bad. Packing the kids off to their grandparents or friends, kicking their shoes off and enjoying a candlelight dinner just the two of them. Some couples choose to take themselves away for a second honeymoon, or just spend a few quiet days away from home. Silver wedding anniversary gifts don’t have to cost the earth to be special. What’s most important of all is that the couples likes and preferences have been taken into consideration. So what sort of 25th wedding anniversary gifts are good if you’re working with a tight budget? A scrapbook filled with special memories that the couple have shared. Starting of course, with the day that it all began, their wedding day. And the same can be done with an anniversary collage. Get a few other people to contribute their pictures, and maybe include some personal messages and congratulatory wishes, and what happy couple wouldn’t be proud to have something like that on their wall? You could also turn a wedding photo into a jigsaw puzzle, and add the extra gift of a bottle of wine, that will wet their whistle while completing the puzzle. How About a 25th Wedding Anniversary Gift for Him? You all know how much the ladies love the whole gift giving and receiving, but men actually like it too. 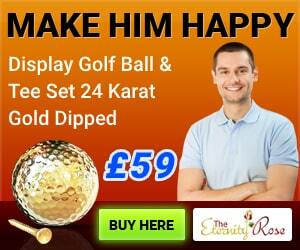 Finding the perfect gift for a husband isn’t as difficult as you think. And all the effort you put into finding the best gift ever, is going to be amply rewarded by his smile. We’d like to say here that silver jewelry is the most obvious answer, and really it is. But unfortunately wearing jewelry is not for every man, so you could always consider silver cuff links, a watch or a tie pin. Or a silver lighter, hip flask or fountain pen. If you’re more than happy to stray away from the traditional path, and you know he won’t be that bothered either way, then give serious consideration to an experience day. There are lots of thrilling, exciting and downright indulgent ways your husband can have a bit of fun. And for some of them you could invite yourself along to join in as well. Driving a super car, bungee jumping, balloon ride, scuba diving lessons or a tandem parachute jump are just a few ideas for you to consider. The gift of flowers is always welcomed with open arms by the ladies, and not just for special occasions. There isn’t a woman on the planet who wouldn’t be impressed with a bunch of flowers that her husband had brought home from work. Unless it was obvious they were the last ones in the bucket at the service station round the corner. So if you’re looking for a silver wedding anniversary gift for your wife, flowers are a worthy consideration. But maybe you should think about really pushing the boat out. After all it’s 25 years that you’re celebrating. More than 9000 days, and more than 219143 days as it so happens. Now we’ve put it like you surely can’t disagree? So what kind of gift is suitable to commemorate 25 years of marriage? Silver jewellery is a sensible choice and there heaps to choose from. Earrings, bracelets, necklaces, pendant, rings – whichever you think she’d like the most. You might get an indication of what that might be by looking back over some of your photographs, or taking a sneaky peek into her jewellery box. But don’t let her catch you, or it’ll spoil the surprise. With silver jewellery you get the chance to make it more personalised, with a sentimental engraving. Although there won’t be enough room for a love song or poem, you should have no trouble fitting in those special 3 words “I Love You”. If you’re happy to move away from the traditional, why not whisk her away for a second honeymoon, or a first honeymoon if you didn’t manage to get one first time round? Visit some locations that have good memories, or jet off to somewhere new that you’ve both dreamt of visiting. Take the opportunity to renew your wedding vows. Because we bet you look at life and marriage a little differently 25 years down the line. Do you remember the song you first danced to on your wedding night, or the tune that was playing when your eyes met across a crowded room for the first time? Have it immortalised on a CD, and pop it in a personalised frame. Why Not Try Some Unexpected Silver Wedding Anniversary Gifts? After 25 years of marriage, your walls and shelves are likely already full with pictures, photos, trinkets and ornaments. And your home is well equipped with most of what you need. For the last quarter of a century you’ve both been concentrating your efforts on making a comfortable home, pursuing a career, and raising a family, so we think that you might be looking for something completely different to give to each other, or to share for your anniversary. What about one of the following:? A chance to enjoy the finer things in life – something that is far away from your normal routine. And this is your chance to indulge each other. Offerings include a classical concert and picnic in the grounds of a stately home; cruise up the Thames with lunch on the way; visit some of your local history spots and learn more about the area; gourmet dinner at a top London hotel; or afternoon tea at a famous tea shop. Wine tours and tastings – yes believe it or not there are some very good vineyards in the UK. But if you prefer a pint of beer, or even a drop of the black stuff, you could tour one of these establishments instead. When it comes to choosing suitable anniversary gifts, whether it’s your 1st, 5th, 10th, 25th or 50th, there so much to choose from it really isn’t hard. Just remember to pick something that truly expresses your feelings for each other, or show how proud you are of the happy couple, and you’re not going to be far off the mark. In fact you’re very likely to hit it full on.